The city’s on-the-job training program created as part of the massive $37 million road repair project has put a dozen and half unemployed or underemployed city residents to work. 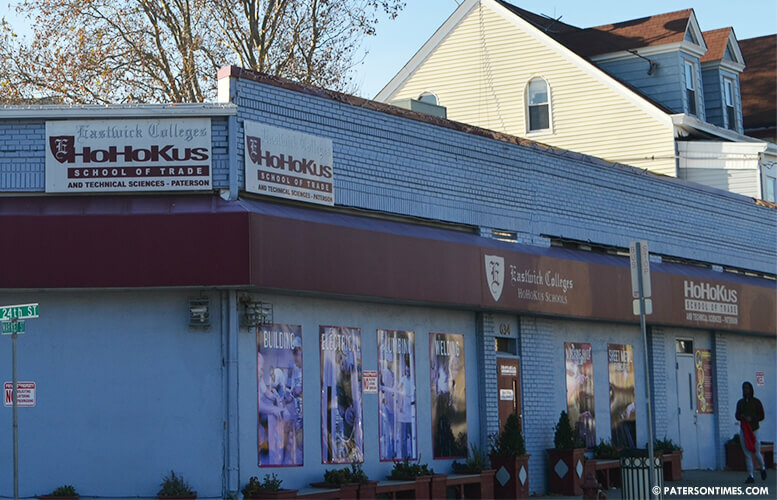 17 out of 20 people selected to receive training in plumbing, carpentry, electrical repair, and welding through the HoHoKus School of Trades and Technical Sciences landed jobs, according to Tom Eastwick, president of Eastwick College which operates the trade school on Market Street. 16 were placed in full-time employment and 1 is part-time, according to the school. Eastwick said 17 people received training out of the 20 residents selected by the city. He said two had to take military leave and 1 withdrew from the program. In other words, 100-percent of those to receive training, found jobs. “If that’s the success rate — that’s a resounding success,” said councilman Andre Sayegh, chairman of the economic development committee, when told 17 out of 20 landed jobs. He said he plans to continue the program if elected mayor. “I really enjoyed everything about the program. The teachers were good. It was what I wanted to do,” said Rosemary Akor, who received six months of training through the program. She said in the second month the on-the-job part of the program kicked in and she was working for the city’s public works department. Trainees spent Mondays, Tuesdays, and Wednesdays receiving instruction in the school’s building maintenance program. On Thursdays and Fridays, they put those skills to use for the city. Akor was able to put a lot of what she learned about plumbing, carpentry, electrical repair, and welding to use for the city. “They teach you bits of everything,” said Akor. After graduating from the program, Akor began working with Carpenters Local 253. She said the school helped her to find a job. She was making $12 an hour before the job training program. She now earns $18.50, she said. The city attracted 34 applicants to the program in Jan. 2016. A lottery led to the selection of 20 people, officials said at the time. Eastwick said the program cost the city $72,000. The school was awarded a $250,000 contract for the program. Officials had said it costs $12,000 to train a resident. The city’s share is $4,000. Passaic County Workforce Development Center would cover $4,000. And the rest would be picked up by the school. The city’s share is from contributions made by road resurfacing contractors. The city required companies to hire local labor or pay a percentage of the labor costs into the job training program. Gomez said road resurfacing is machine intensive with little labor. Former mayor Jose “Joey” Torres created the program as a way to persuade the council to support his road resurfacing program while chipping away at the city’s high unemployment rate. The city suffers from an unemployment rate that is often twice the state average. Unemployment stands at 7.5-percent in the city. New Jersey average is 4.2-percent. Gomez receives two paychecks for doing the same job. Not bad work if you can find it.